There are still too many people dying on the roads as a result of drink driving. So, Think! at the Department for Transport wanted posters to display in pubs and bars across the country to encourage customers to say no to drink driving. 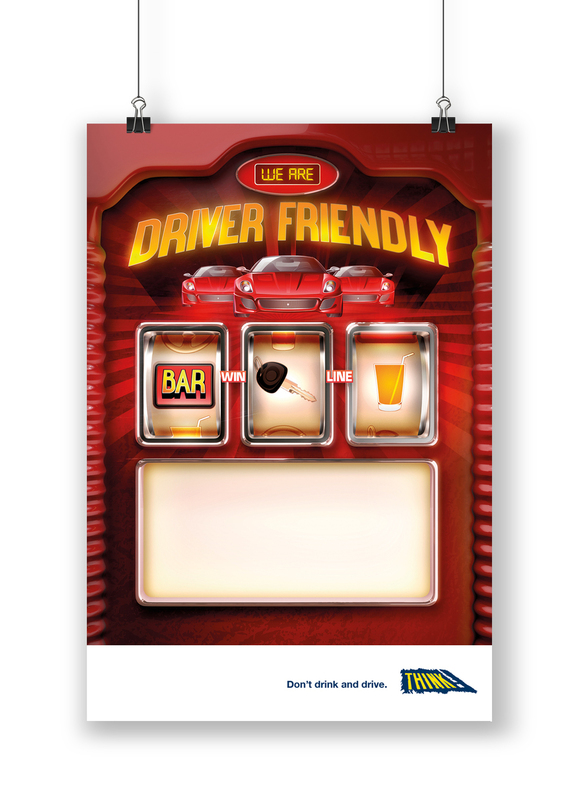 We have created a set of three posters are based on the entertainment machines that are commonly found in the traditional pub setting. 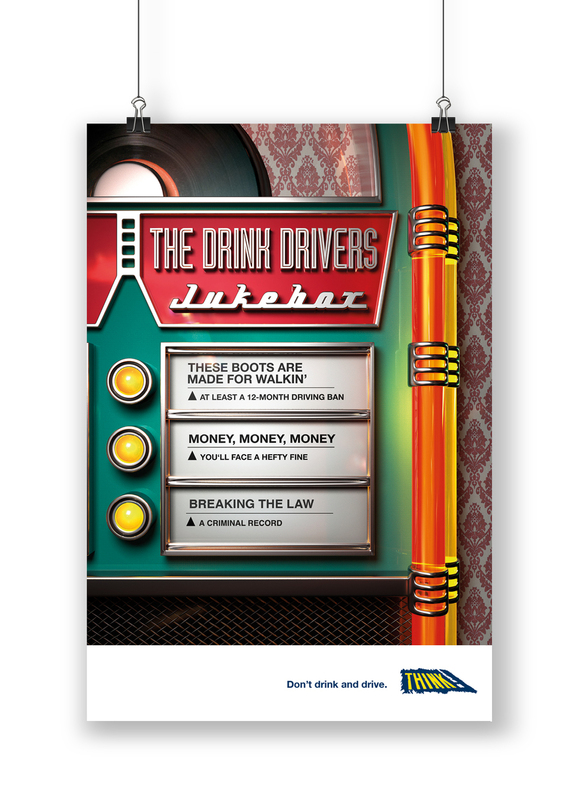 Using a hyper-realistic illustration style and adapting the messaging, they communicate the consequences of drink driving, and offer some solutions – including a space for venues to add their own driver friendly promotion.